These designer wear dresses include lawn dresses with embroidery. The designs are unique but it has embroidered shirts, dupattas with print and plain trousers like other designer wear collections. The clothes will make you stand out on an ordinary day. So, go for the gorgeous Zunn Designer dresses 2014 by LSM Fabrics. LSM Fabrics or Lakhany Silk Mills is one of the greatest textile companies working in our country. 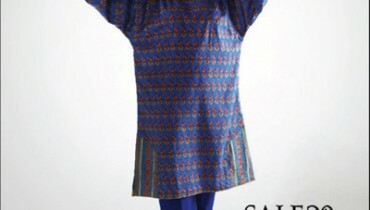 It provides fabrics for ladies mostly. Plus, it has now started providing ready to wear clothing for women also. The clothes of Lakhany Silk Mills are always available at the best quality. The company has been in the industry for the last so many years now and is currently quite famous for its fabrics. Its komal and Zunuj lawn are looked forward to by many women every year. If you want the clothes of LSM Fabrics, you can get them through the online store of this company or through fabric shops. Zunn designer dresses 2014 by LSM Fabrics can be seen over here. The pictures from the collection’s catalog are here. If you want these clothes, you should visit the exhibition of the collection. 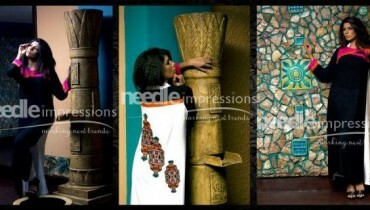 The details of the exhibition are given on the Facebook page of LSM Fabrics. You can see the page at the URL given here. You will find a list of retailers where the clothes will be available after the exhibition through the Facebook page also. Thus, if you want further information, you should visit the Facebook page. There you will get the full catalog of Zunn designer dresses 2014 by LSM Fabrics also.